Do you prefer creamy or chunky peanut butter with your jelly? Do you typically call “heads” or “tails” in a coin toss? Which top cola brand do you prefer? We all love to pick sides in these 50/50 battles, and for investors, one common battle is between growth stocks vs. value stocks. Growth and value stocks are two of the main categories, and really, growth and value are considered two main styles of investing. But at any given time, there can be only one leading performer. So sometimes growth stocks will outperform, and sometimes value stocks will be the leaders. Plus, favoring one style typically has a lot to do with your objectives, risk tolerance, and investment horizon. Value Vs. Growth Stocks: What’s the Difference? Price-to-earnings ratio (P/E). Basically, the company’s stock price divided by earnings per share. Could be based on the past 12 months’ earnings per share (“trailing P/E”) or based on the company’s projections (“forward P/E”). Price-to-book value ratio (P/BV or P/B). The stock price divided by the stated value of its net assets (total assets less intangible assets and liabilities). If the growth rate is high, then investors might be willing to pay more for a company’s stock, and these ratios will be higher. So, in a sense, high P/E and P/B ratios define growth, since we cannot with certainty say what the expected or future growth rate of earnings will be. Growth stocks tend to show up in fast-growing industries like technology, pharmaceuticals, and other modern industries. Think “FAANG:” Facebook (FB), Apple (AAPL), Amazon (AMZN), Netflix (NFLX), and Google parent Alphabet (GOOG). These are among the classic growth stocks of our day. If you’re looking at individual stocks, consider looking first at the industry. Is it associated with growth? Next, consider the P/E and P/B. One common rule used by analysts: if the P/E is above 20, and/or the P/B is above 3.0, it’s probably a growth stock. 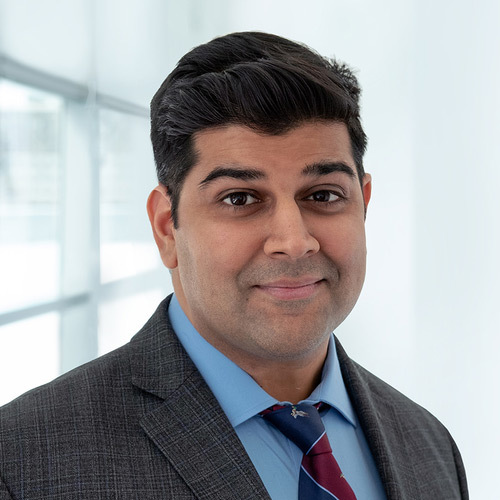 Curious about the contents of that mutual fund or exchange-traded fund (ETF) in your portfolio? 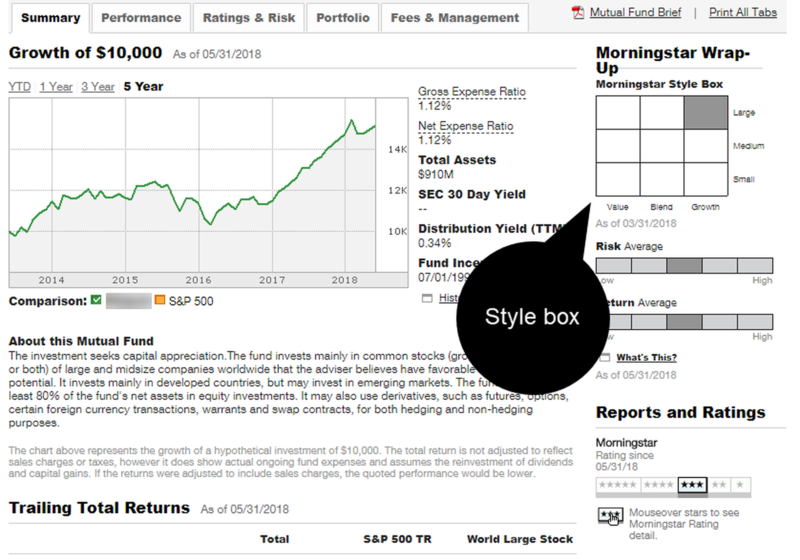 Fund analysis from companies like Morningstar often contain a “style box” (see figure 1) that lets you know if the fund favors value, growth, or a blend, as well as whether the fund is considered small, medium, or large. TD Ameritrade clients can view style boxes by logging in and clicking the Research & Ideas tab > ETF or Mutual Funds > Profile. You can also use the TD Ameritrade screener tool to filter by growth or value funds, plus a whole host of other filters. FIGURE 1: GROWTH OR VALUE? This 3x3 grid—the “style box”—lets you quickly gauge a fund’s size and investment style. Keep in mind a mutual fund’s style (growth or value) is a composite of the individual stocks it holds. Just below the box is a snapshot of the fund’s risk and return profile. Data source: Morningstar. Chart source: TD Ameritrade. For illustrative purposes only. Past performance does not guarantee future results. So how to choose between growth and value? It’s a complicated picture, to say the least. Academic financial gurus Fama and French famously declared value, in the form of low P/B ratios, to be one of the best factors for stock selection. Subsequent research from Fama and French, however, suggests that growth factors of profitability and reinvestment maybe very similar in impact to value factors, and they can’t say for certain which matters more statistically. In other words, when evaluating growth vs. value, it’s tough to say if the zebra is white with black stripes or black with white stripes. Plus, times change. New technologies have the power to unseat the old order. Over the last several years, some growth stocks have enjoyed robust gains, even while some value shares languished. Figure 2 compares the Russell 2000 Growth Index to the Russell 2000 Value Index. Note that there are periods that favor value, and periods that favor growth. FIGURE 2: THE EBB AND FLOW OF GROWTH AND VALUE. 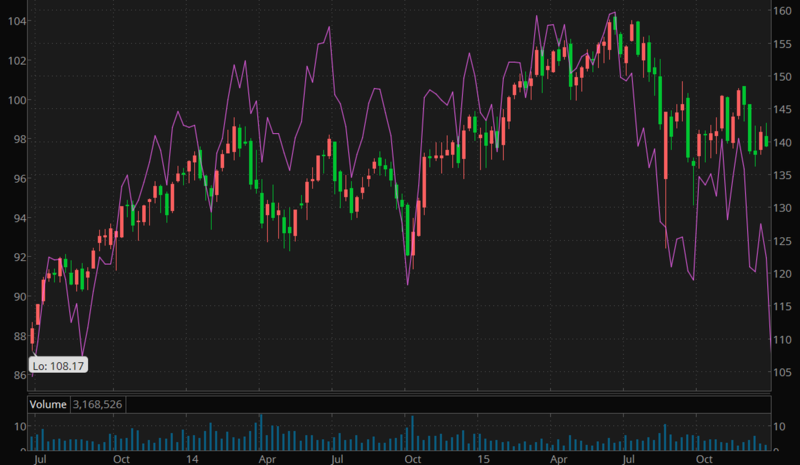 This chart from 2014-2016 shows periods of relative strength and weakness for both the Russell 2000 Value Index (candlestick chart) and the Russell 2000 Growth Index (purple line). Data source: FTSE Russell Indexes. Chart source: The thinkorswim platform from TD Ameritrade. For illustrative purposes only. Past performance does not guarantee future results. Are you looking for potential income? Many high-growth stocks, especially those involved in emerging technologies, don’t pay dividends, some may not even have positive earnings, but rather plow resources into continued growth. Well-established companies, many of which have a long history of dividends and dividend growth, may be priced for value. What’s your time horizon and risk tolerance? Often, shares of high-growth companies experience higher volatility and may be more susceptible to short-term market dynamics. Having a longer investment horizon might help you weather any periodic downturns and give your investment time to realize potential growth. Speaking of time, understand that companies tend to mature over time. Today’s highflier may be tomorrow’s low P/E, dividend-paying value stock. Plus, investing doesn’t have to be an either-or, chunky-or-creamy, heads-or-tails decision. Choosing a mix of growth stocks and value stocks can help you build a diversified portfolio. 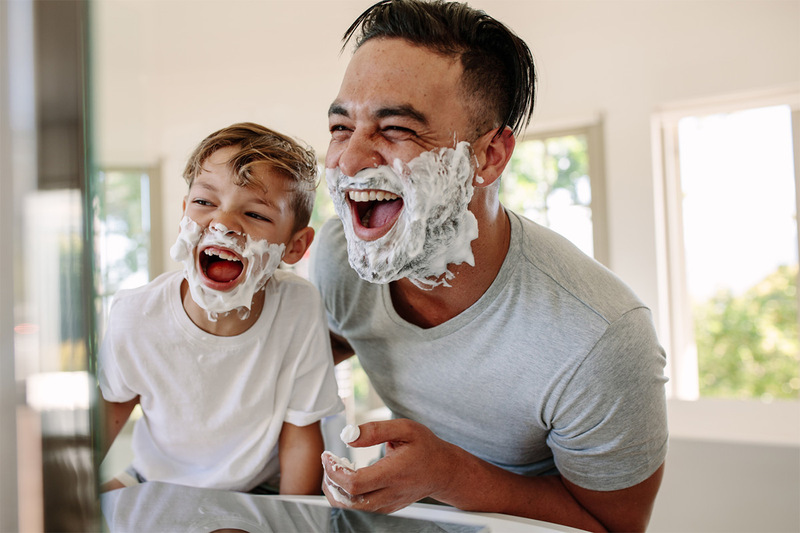 Morningstar and other third parties mentioned above are separate from and not affiliated with TD Ameritrade, which is not responsible for their services or policies.